Ideal Home Magazine’s March Issue included a stunning article on ‘How to add character to a featureless House,’ featuring a stunning new-build in London. The home-owner focused on unfussy simple styles with touches of chrome metal on a back drop of stripped back white walls and exposed flooring. Lots of whites and creams with hints of black and navy gave a Victorian look with a French twist. Rustic wooden storage mingle with cosy classic chairs and sofas to create a eclectic mix. Ideal Home very kindly featured our Hall Lantern in Polished Chrome as the budget buy to ‘get the look’ and we have to say the hall lantern fits in perfectly with the stripped back Victorian feel. The home-owner included this style of fitting in both the lounge and dining area, showing how versatile this style of light can be. Alternatively, if you’re lucky enough to have high ceilings in your home, our lantern can be suspended in the hallway and reception area as it boasts a maximum drop of 140cm. 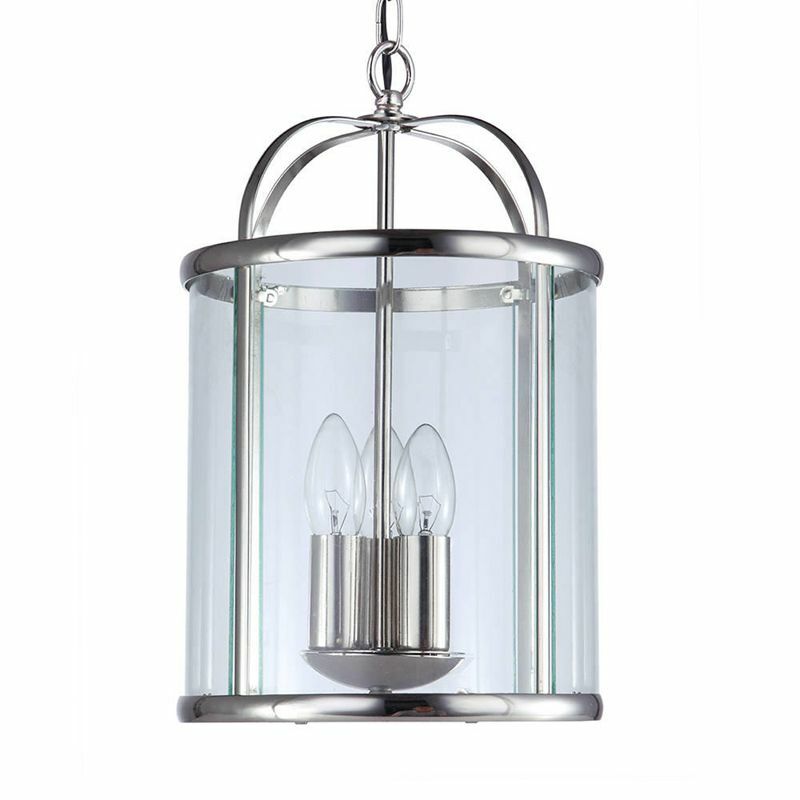 For a warm antique style this lantern is also available in an Antique Brass finish. The home-owner included this style of fitting in both the lounge and dining area, showing how versatile this style of light can be. Alternatively, if you’re lucky enough to have high ceilings in your home, our lantern can be suspended in the hallway and reception area as it boasts a maximum drop of 140cm. 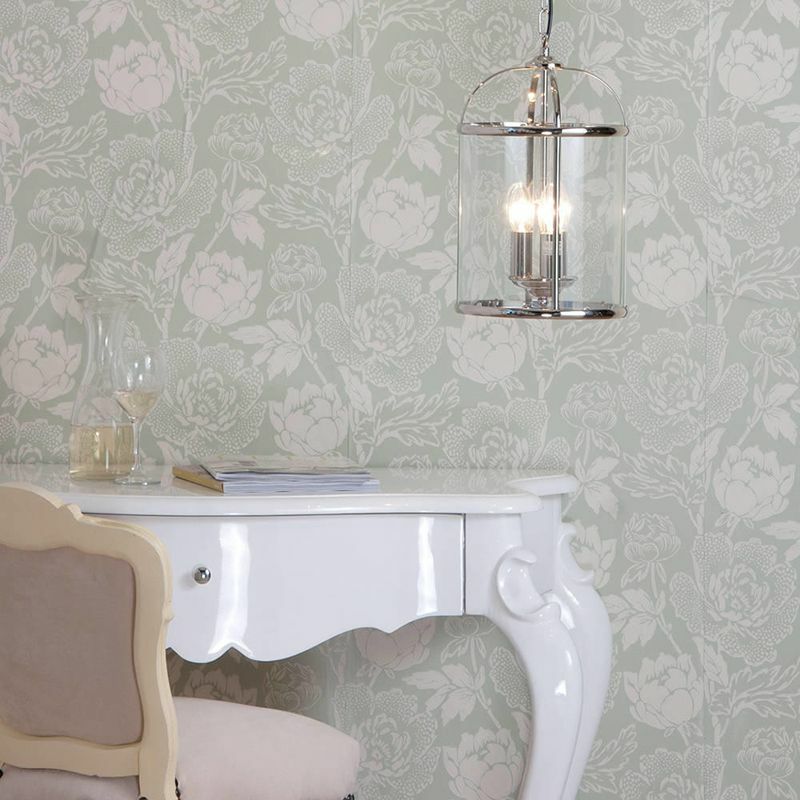 For a warm antique style this lantern is also available in an Antique Brass finish.